In the past, fencing was primarily meant for a property’s security and demarcating of boundaries. Nowadays, however, fencing has become one of the primary elements which contribute to the exterior look of commercial and residential properties. There are now different elegant options available for your property’s fencing. One of the best choices, however, lies in ornamental fencing. 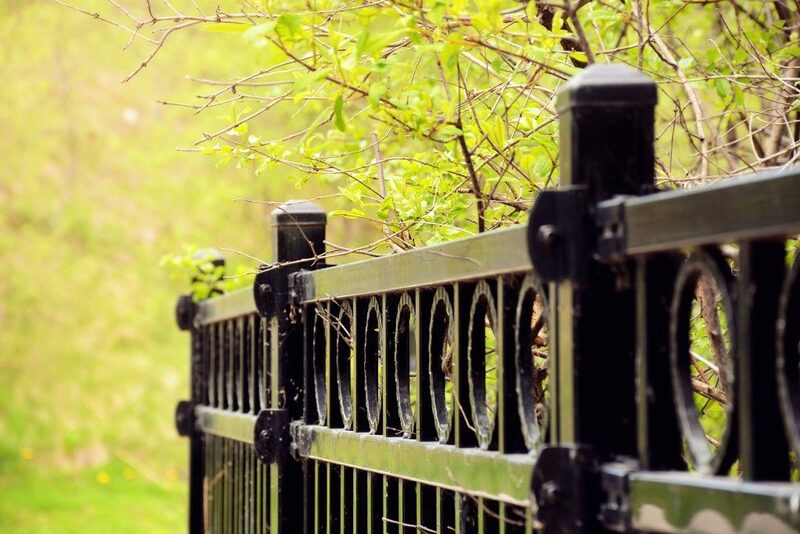 Although primarily made of metal in the past, fence installation companies in Salt Lake City now have different options for their ornamental fences. The materials currently used guarantee that your fence will be functional while boosting the appearance of your property. The following are the typical options for modern ornamental fences. Ornamental wrought iron fences are the classic fencing option. Most people assume they only pair with classic property designs, but they can suffice for almost any property style. Ornamental iron fencing is guaranteed to add elegance to your property’s exteriors with its basic style of vertical pickets and plain horizontal rails. In most designs, the pickets in this fencing will extend beyond the top rail of your fence and are crowned using arrowhead-shaped finials. A few modern pickets, however, feature shorter pickets and no finials. Ornamental iron fencing nowadays also includes arched picket arrangements, scrollwork or geometric ornaments for those looking for some decorative and intricate design elements. These are available in a broad style variety. The renowned style for ornamental wooden fences is the picket fence. Here, vertical pickets will be spaced along the horizontal rails of your fence such that a gap is left between your pickets. There are several style variations for picket fences nowadays with some featuring pickets in varying heights and profiles which give this fence a decorative outline. Other than picket fences, ornamental wood fences are available in lattice and shadow box styles with picket rows for enhanced privacy. These mimic wooden fence styles and are hence the go-to choice for property owners looking for a wood-like fencing appearance without the maintenance requirements of authentic wood. Vinyl fencing, however, features a square rather than the flat profile seen in ornamental wood fencing. There are also vinyl fence panels which imitate iron fencing. Both vinyl fencing panel varieties take a short time to install since they are pre-fabricated though they might not offer a lot of customization options. These emulate the appearance of traditional iron fences and come with finial-peaked pickets in simple patterns. Compared with conventional iron, aluminum fencing is lightweight, easier to install and has easy maintenance needs. There exist other ornamental aluminum style fences, which have a modern look with vertical and horizontal lines and simple picket layouts. Most people are apprehensive about ornamental fencing since they are constructed in open styles. There are now several modifications that can be used for ornamental fencing to boost their privacy and enclose a secured area. You can, for instance, opt for tall and large pickets and include a mesh on the inner side of your fence for utmost security. Compared with traditional fencing options the above ornamental fencing styles are far easier to repair and maintain and cost-efficient for large scale fencing.